Just when you think you have seen everything, LROC reveals a natural bridge on the Moon! Who would have thought? Natural bridges on the Earth are typically the result of wind and water erosion — not a likely scenario on the Moon. So how did this natural bridge form? The most likely answer is dual collapse into a lava tube. 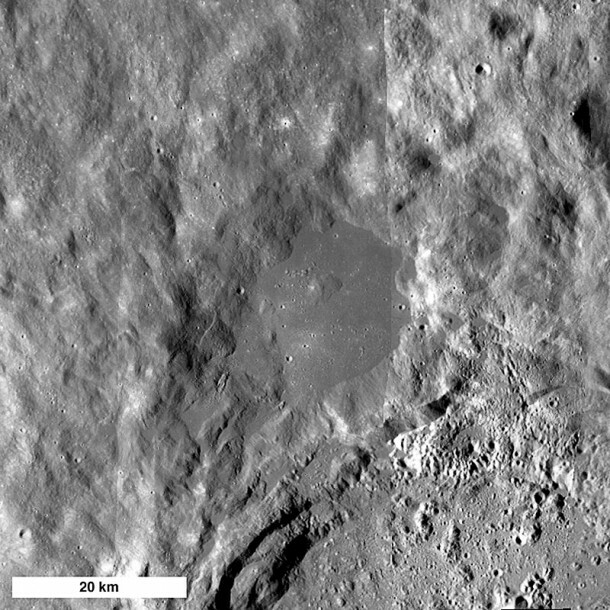 From the Apollo era, SELENE, and LROC images, we know that lava tubes did form in the Moon’s ancient past. SELENE and LROC images have raised the tantalizing prospects that lava tubes remain intact to this day. However this bridge did not form in mare (basalt), but rather in impact melt from King crater! More astonishingly, the same NAC image revealed two natural bridges – not just one! The impact melt that was thrown out of the crater pooled on the newly deposited ejecta and must be many tens of meters thick, allowing its interior to stay molten for a long time. As the local terrain readjusted after the shock of the impact, the substrate of this massive pool of melt was jostled to some degree. Local pressures built up and the melt moved around under a deforming crust. You can see that the south end of the bridge extends from a small local rise, shaped something like a blister. Perhaps some melt was locally pushed up forming the rise, then the magma found a path to flow away, leaving a void which the crusted roof partially collapsed? 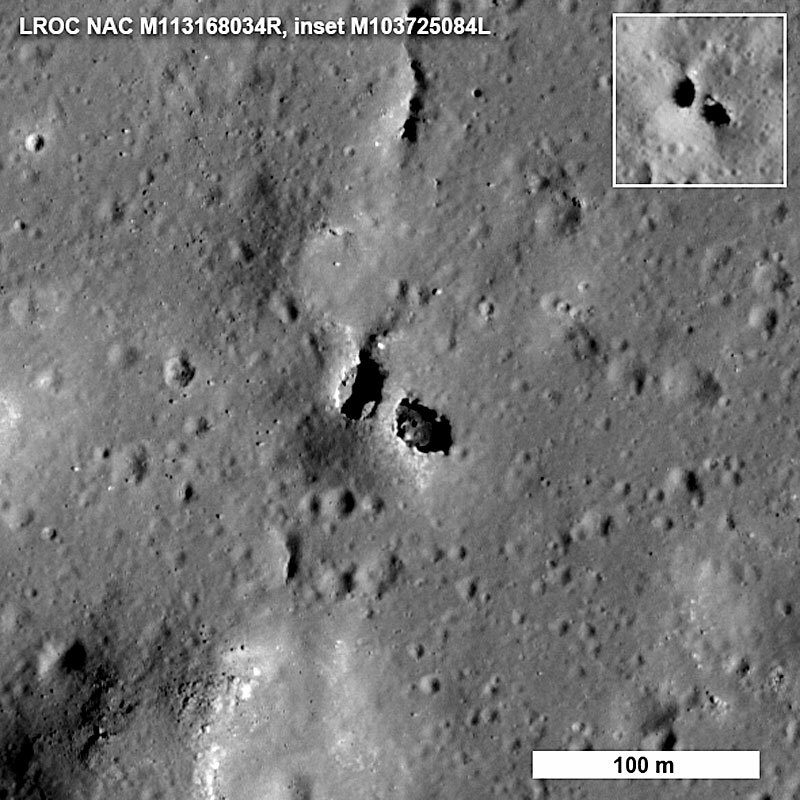 Right now we do not know for certain the details of how the bridge formed, however, the LROC team is processing stereo images into topographic maps to aid scientists in determining exactly what took place on this fascinating melt sheet. There are actually six NAC images in which you can find the bridge under varying lighting (M103725084L, M103732241L, M106088433L, M113168034R, M123785162L, M123791947L). Why so many images? The melt sheet north of King crater is a region of interest — a high priority for LROC coverage. As the pair of images below vividly illustrate, having a set of images of the same under varying lighting allows scientists to more confidently interpret the local geology and thus better prepare for future exploration.